The time has never been better than right now for HR to step up and become the People strategic partner in the C-Suite. The Road to the C-Suite has never been smoother than it is right now. HR has a major strategic role to play in the decisions that need to be made by Executives in the New Way of Working. In a diverse, globalised, gig-oriented workforce that must be engaged with a broad, corporate vision, yet still fit with employees’ local cultures, values and expectations? In an organization where aging baby boomers, accustomed to a top-down management style, are working with feedback-hungry ‘millennials’, eager to contribute to purpose-driven work? In a business environment where rapid technological change has exponentially shortened the shelf life of products and processes, and where time does not wait for good ideas – or problems that need fixing – to go up and down the chain of command? The value that people add to organisations today outstrips most other business functions. The C-Suite is about business decisions. HR needs to step up with business and people insights and solutions based on innovative and agile solutions that use technology and big data to address business challenges. 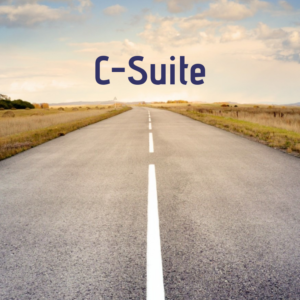 What can you do right now to put yourself of the road to the C-Suite? – Inhouse Agile HR Mastermind – we work closely with you over 6 or 12 months developing skills and implementing Agile HR in your organisation.